Church is place where Christians offer their prayers to the lord. 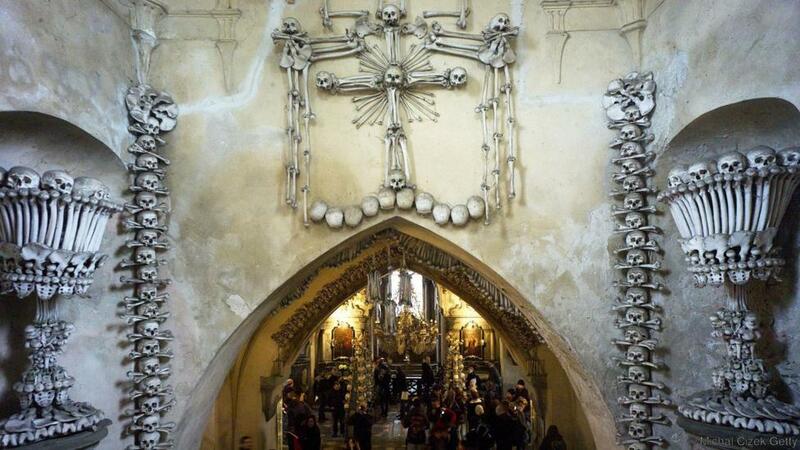 There is an amusing church in Czech Republic which is decorated with 40000 skeletons. 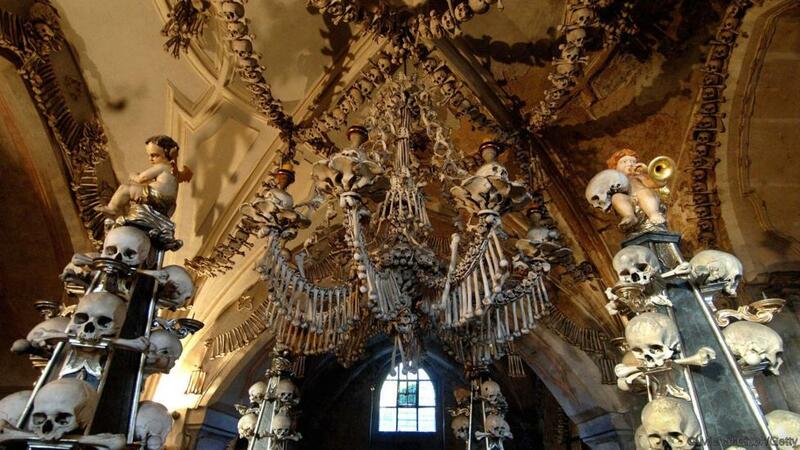 Travelers with a macabre will have an exciting day at this gruesome chapel which is decorated with skeleton chandeliers, hipbone chalices and skull bunting. It all started in 1278, a man who is the head of an abbey of monks, usually called as Abbot. A abbot from Sedlec visited a small town, about 80km from Prague, made a pilgrimage to Jerusalem and brought some soil from crucifixion site. Upon his return the monk has spread across the cemetery of the local church. As word of the sacred sand spread throughout Bohemia the cemetery became one of most popular place. This tradition continued throughout the 14th Century. There was a Black Death plague spread throughout Europe which killed nearly 30,000 plague victims from Central Europe , all of them were buried here. A war broke out between 1419 to 1434, Roman Catholic crusades against Bohemian reformers. Due to the war, large destruction occurred to Sedlec and the nearby city of Kutna Hora. These attacks left 10,000 more dead, all buried in the Sedlec cemetery. Both these incidents left 40000 corpses in Sedlec cemetery. In 15th century, many human bones that were buried used to make way for a Gothic church, and were stacked and placed in pyramids in a new church located underneath a place of worship. These were undisturbed till 1870, then a woodcarver was hired to make something beauty from the piles of bones. 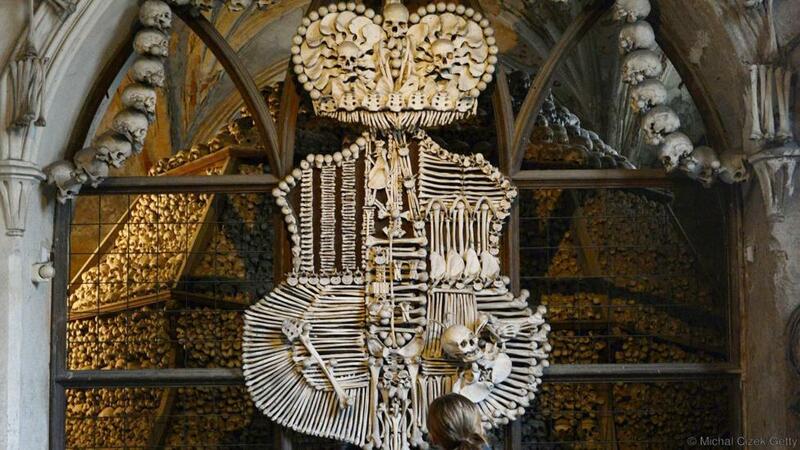 He has made fantastic formations with the pile of bones throughout the chapel. 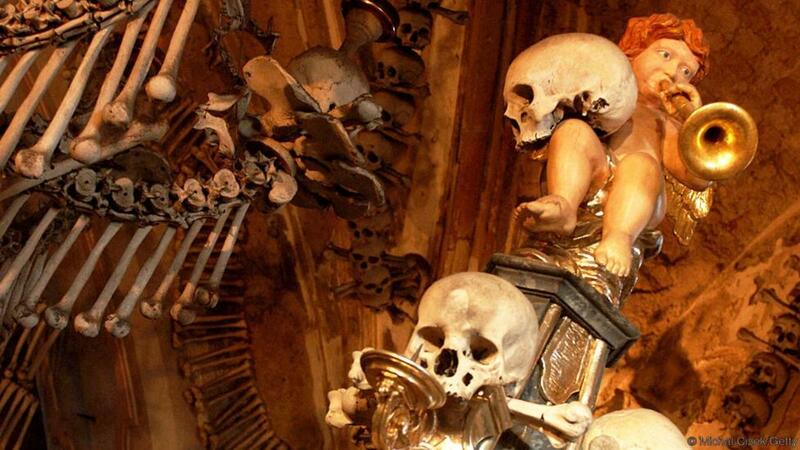 Chains of threaded skulls, chalices constructed with hipbones and femurs, to a family crest created in tribute to Bohemian aristocratic Schwarzenberg’s family, hired the carver back in the 19th Century to make it more amazing. 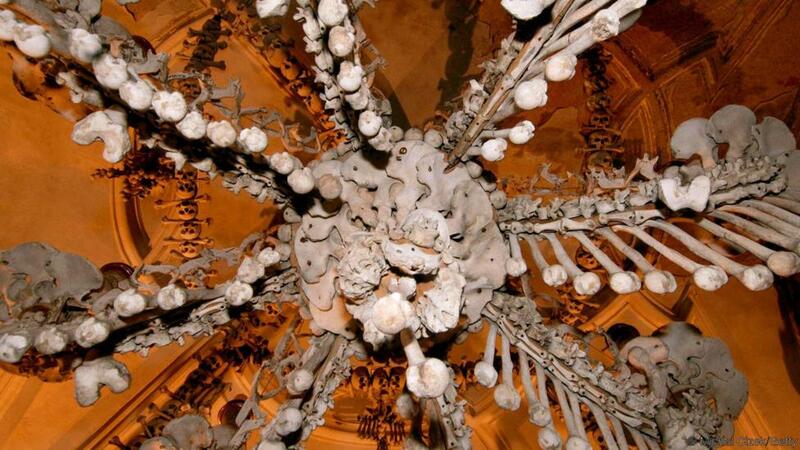 Chapel’s centerpiece is the amazing chandelier that has every bone in the human body at least once, with skulls staring outward at the end of each seven chandelier arms stationed for an eternal watch. The church is closed only on Christmas Eve and its open throughout the year for public. Next articleWhat is inside a Pyramid?